Weighing In – Rebecca Scrichfield R.D. & Manuel Villacorta R.D. Author @rodgerPosted on November 24, 2018 Leave a comment on Weighing In – Rebecca Scrichfield R.D. & Manuel Villacorta R.D. For many Farm To Table fans and ‘foodies’ of all types, Top Chef is their favorite show. For young Chefs it can also be an obsession to one day be chosen to compete. Caitlin Steininger is one of those Chefs whose goal it was to make it to the Top Chef competition. She made it and shares her experience with Farm to Table Talk. Caitlin and her sister, Kelly Trush, started the Cooking With Caitlin brand when she was just 19. They write food columns. 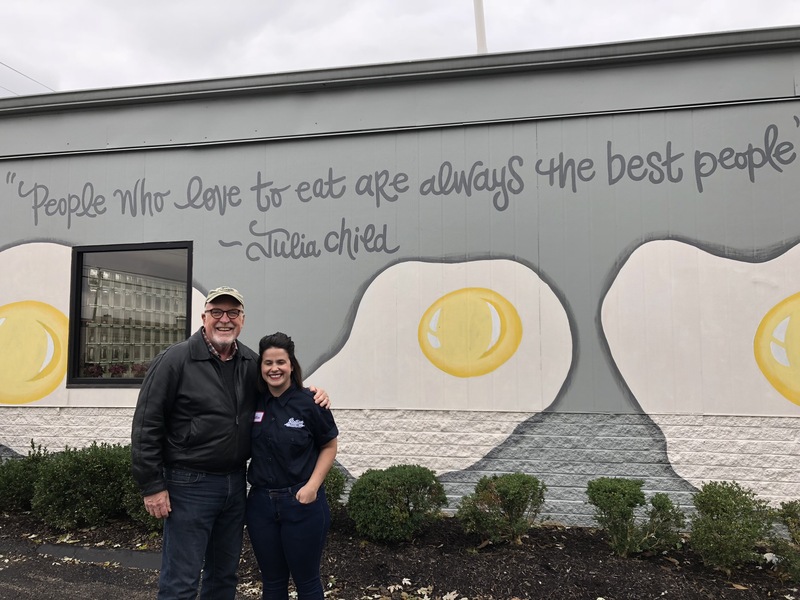 do regular radio show, have a prominent web presence and have a popular restaurant, CWC (Cooking With Caitlin) in Wyoming, Ohio. They source locally, including produce grown for the restaurant at Cait lin’s children’s elementary school. Farm To Table Talk is ‘cookin with Caitlin’. Fear of chemicals in our food system scares some people to death. Is it warranted? Both organic chemicals and synthetic chemicals are used to grow, process, transport, preserve, package and serve our food, from farms to tables. Consequently traces of chemical residues can be found in all of us. Given declining trust in large corporations and government institutions some worry about this a great deal and some don’t give it a second thought. For the most part Federal government agencies and food manufacturers are assuring that safeguards are adequate and the fear is not warranted while many NGO’s draw attention to what they see as shortcomings in regulation and increased risks evidenced by certain scientific studies. The Genetic Literacy Project takes a more reassuring perspective on food safety. 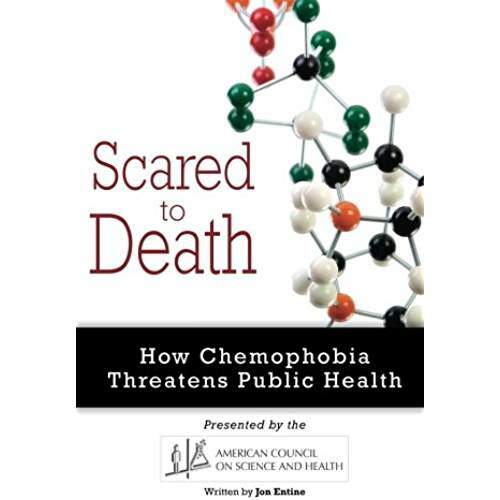 Its Founder and Executive Director, John Entine is also the author of “Scared To Death” and “Crop Chemophobia”. 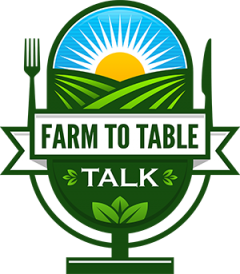 This episode of Farm to Table Talk explores the current facts, perceptions and ‘phobias’ about our food and how it is grown. 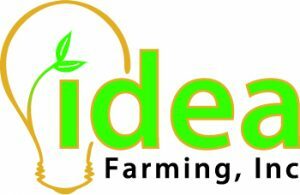 There is an art and a science to farming and to food production. The science is based on objective analysis of methods, components and systems. 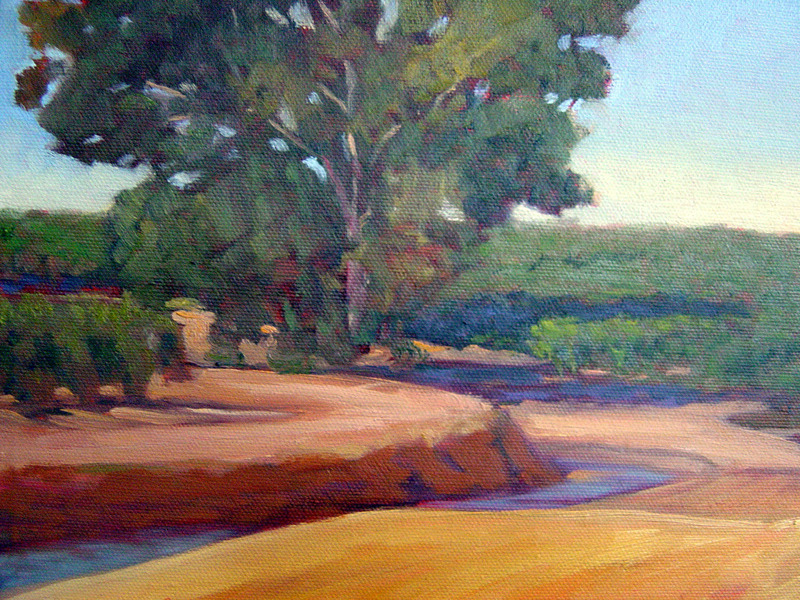 The art is more subjective and includes impressions, feelings and instincts. The term Artisan describes small, specialized, less mechanized systems of specialty farming and food production. It’s not hard to recognize that food “artfully” produced and prepared by a creative chef or artisan practicing their kitchen craft for sale on line or at Farmer’s markets are functioning in a Farm/Art nexus. This perspective allows us to appreciate a farmer’s field or a chef’s creation on our plate as art. 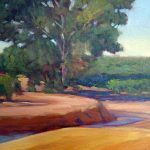 No wonder that Artists find inspiration in the country and where food is produced for the Artisan’s touch or Supermarket bounty. Many farmers see their crops as commodities, but there are artists who see beauty and creativity in their efforts. Artists are interpreting their visions through all paint media, fiber arts and sculpture. 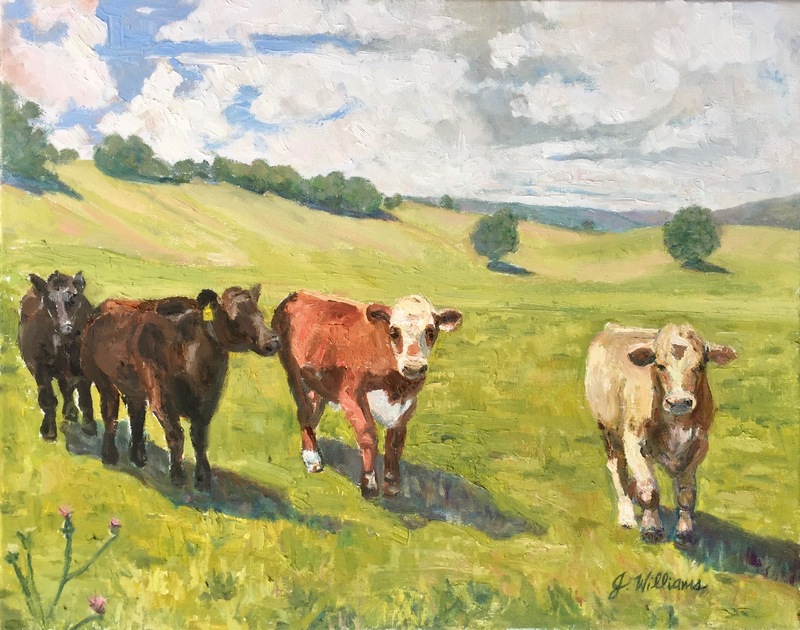 Today County Arts Councils throughout the country are beginning to recognize the link between Agriculture and the Arts. 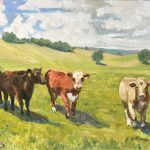 One of the pioneers in this movement was the Madera County Celebrate Agriculture with Arts Show. As I toured their exhibit I realized that I was spending longer with some of this farm art than I did viewing the Mona Lisa at the Louvre in Paris. 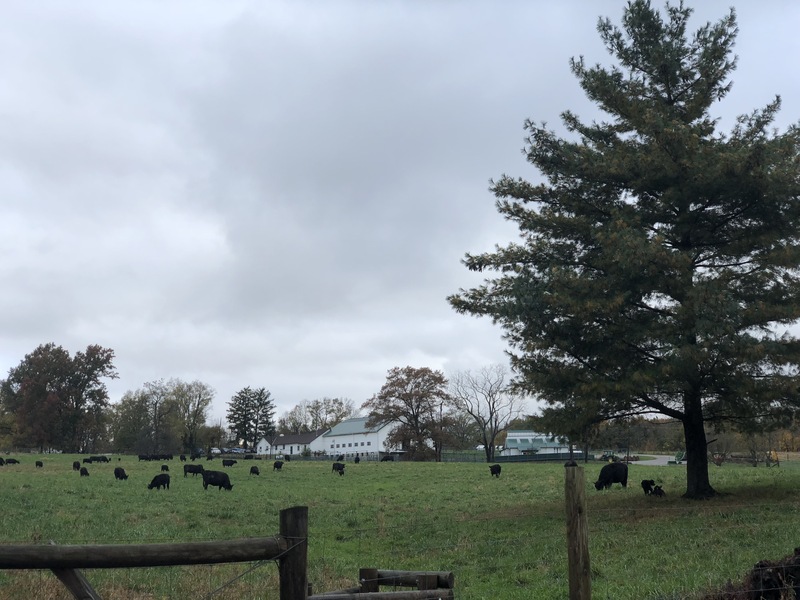 At a field day in the midst of a crowd that equally appreciates art and the art of farming and food production, Farm To Table Talk explores these ideas and learns about a successful Agriculture and Arts project with Alison Flory the Executive Director of the YoloArts.Org. When a public institution has research, education and public outreach responsibilities that touch the needs of virtually the whole world, it gets to be called the World Food Center. That happens at UC Davis where a World Center started, stalled and then re-started with renewed focus. Today “the World Food Center (WFC) mobilizes the research, educational and outreach resources of UC Davis, in partnership with consumers, public and philanthropic entities, and the agricultural, marine and food industries, to promote innovative, sustainable and equitable food systems. Based in the College of Agricultural and Environmental Sciences, the World Food Center works on local, national and global scales to support scientific research and policy development leading to implementation of food production and distribution systems that support the health of people and the environment while addressing the challenges of population growth and climate change.” Dr. Kent Bradford is a distringuished Professor of Plant Sciences and the Interim Director of the World Food Center. 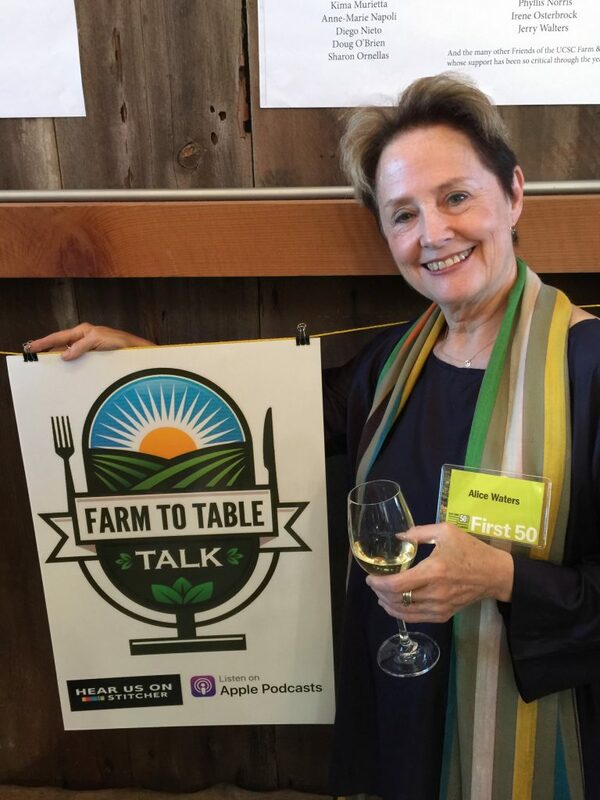 Dr. Bradford joins our Table Talk Table to explain the Center’s mission and what it means to farmers, the food chain and consumers in California and world-wide. New farmers need new farms, near populations of appreciative consumers. With the average age of farmers over 60, we can say for sure it’s time for a changing of the guard. And with farm land disappearing to erosion and development while the population of the Globe makes its way to 9 billion, changes are necessary. Those changes may be thousands of small changes instead of just gigantic solutions. Fortunately progress is happening as innovative beginning farmers are finding uniques arrangements with land owners and under utilized spaces near or in cities. Farm To Table Talk explores these opportunities with a panel of farmers at the Farm To Fork Festival in Sacramento. 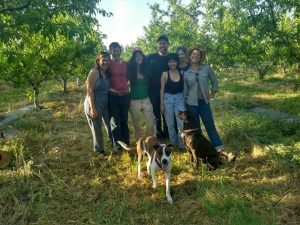 Our guests are Emma Torbert of Cloverleaf Farms, AJ Gomez of Gomez Farms and Chanowk Yisrael of Yisrael Family Farms. What are the challenges and opportunities for young farmers today: new, near or urban? “California Cuisine” began in the 70’s when innovative Left Coast chefs began to build their menus frtom the variety of fresh produce grown locally. 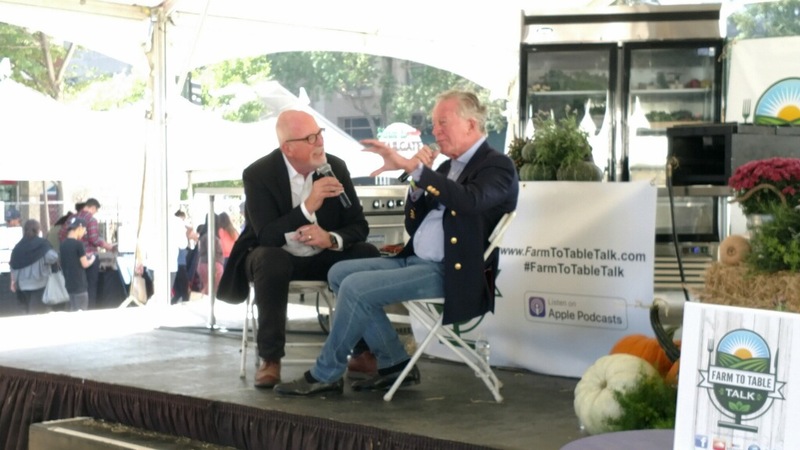 On the frontline of this trend and in the kitchen at Berkely’s Chez Panisse restaurant was Jeremiah Tower–possessing and expressing a talent and vision that would become globally renowned. As Chef Tower moved on to create the famous Stars Restaurant in San Francisco, the California style of cuisine went on to influence the entire country with what was soon recognized as American Cuisine. The consensus of foodies and culinary experts across the world is that Jeremiah Tower is the father of American Cuisine. 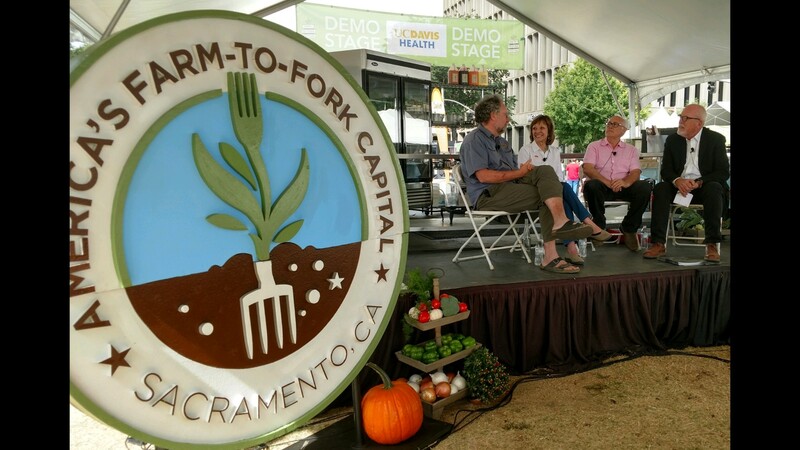 He is also a fan of the Farm to Fork movement taking place in Sacramento, where Farm To Table Talk caught up with him at the Farm To Fork Festival (with 80,000 attendees in one weekend) for a conversation on the status and future of Farm to Table. 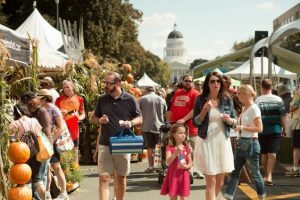 When over 70,000 people show up to celebrate Farm To Fork in a single weekend, it’s time to take stock of Sacramento’s celebration of this expression of the Food Movement. 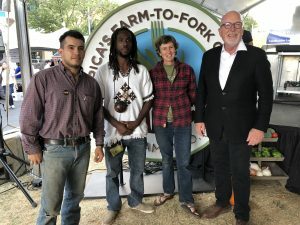 Farm To Table Talk does just that by setting down with three pioneering leaders of Farm to Fork: California’s Secretary of Agriculture, Karen Ross; Chef and Owner of Mulvaney’s B & L, Patrick Mulvaney; and Michael Dimock, President of Roots of Change. 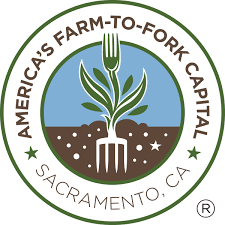 Rob Carlmark, Meterologist of ABC 10 introduces Farm To Table Talk Host, Rodger Wasson as the group digs in to where Farm To Fork is today and how they explain that as they speak thousand of city residents are walking around enjoying the sights, sounds, tastes and presentations of a region that is proud to be the Farm to Fork Capital.